Development processes and ecological change in Hurungwe District have over time resulted in poverty among its residents. This has led to adapted strategies for livelihood, such as intensified agriculture and the cultivation of cash crops. These strategies have had significant impacts on the regional ecosystem services in terms of land-use change and changing wildlife habitat. They have resulted in modified tsetse habitat and behaviour, leading to increased exposure of people and livestock to risk of trypanosomiasis. This scenario envisages material living standards tending to initially increase as agriculture and livestock production expand, particularly that of cash crops. This expansion then stabilises as markets and land become saturated. More service provision would be needed and state and non-state actors would be attracted to the region. More politically influential people would arrive. A reduction of forested areas would result, leading to reduced biodiversity, wildlife habitat and populations. This would leave tsetse flies only in small patches. Initially there would be an increase in trypanosomiasis as people continued to move into frontier areas. There would then be a slow decrease as the ecosystems were affected, including the tsetse habitats. However, the disease would not be eliminated and continued exposure would occur for those social groups of people who interact with tsetse in the small remaining patches of habitat. This scenario envisages the abandonment of crop agriculture in the valley due to an unfavourable climate. People move to livestock keeping and eventually invade national park land to access river water for irrigation and livestock watering. A rapid decline in biodiversity and major changes in species distribution, including disease vectors, would result. 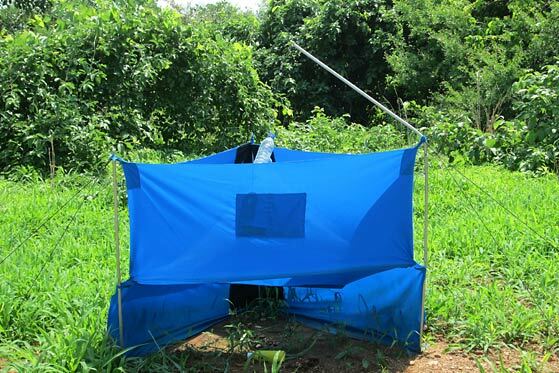 Such insect vectors would tend to remain along riverine habitats where farmers and other incomers are attracted, increasing their trypanosomiasis risk. 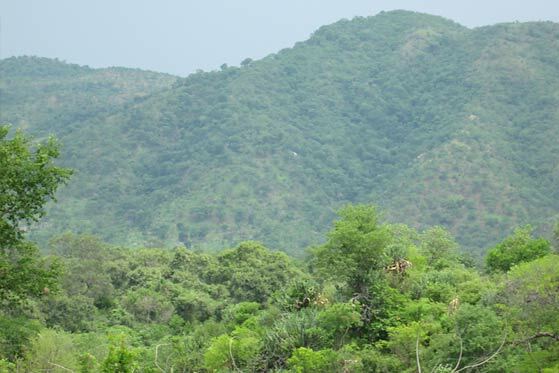 Increased temperatures would lead to tsetse population collapse on the valley floor but an increase on the escarpment. 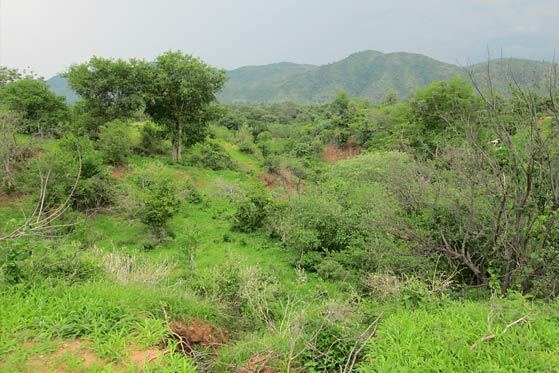 A re-invasion of suitable habitat patches would occur, including in urban areas such as Karoi, Chinhoyi and Harare, and especially in wetter areas, such as urban parks and gardens. This would result in increased trypanosomiasis risk among urban dwellers, especially elites with large gardens. Deaths of people and pets could follow, resulting in increased lobbying for solutions. Employment in government and private-sector pest control would increase. The risk of poisoning non-intended targets would increase, potentially affecting both human health and local biodiversity. This scenario envisages two possibilities. The first sees the region expanding tobacco farming. In this, there would be an increased inflow of migrants engaging in the tobacco crops industry. Locals would be dispossessed and become labourers. The socioeconomic gap would increase between landowners and farmers with resulting growing wellbeing differentiation. Increased tobacco production would lead to clearance of vegetation, and so less exposure to tsetse flies. Repeated exposure to tsetse would, however, increase for hunters, foragers and cattle herders who would have to move further into the national park and hunting areas. The second scenario envisages a tobacco market crash and a switch to carbon farming. In this, elite locals, government, and non-governmental organisations would benefit, while immigrants would be disempowered or leave. 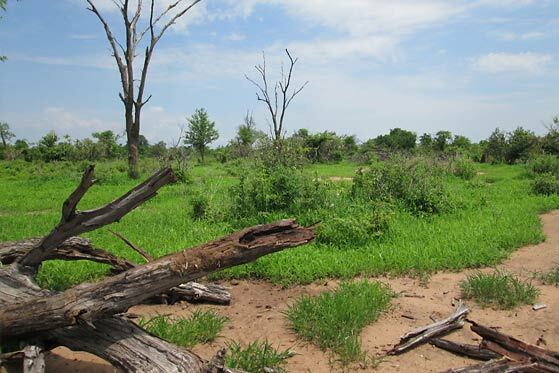 The consequent land-use change would result in a resurgence of the tsetse population as vegetation regenerated and human-wildlife contact increased. Both scenarios could lead to potential resource conflicts and ethnic tensions. This scenario envisages the work of the ministries of health, agriculture and environment combining, supported by local government and the appointment of an overarching One Health Minister with coordination powers and a budget in the President’s office. Human health would improve due to early detection and ecological preventive measures in patch-focused implementation, informed by integrated GIS and field surveys. Wildlife and livestock vaccination would increase. Wealth accumulation through improved livestock production in the valley could be huge, accompanied by large-scale land expropriation mainly by elites. Opportunities for wildlife- and biodiversity-based enterprises would increase. However, potential conflicts could arise between One Health visions driven by interests focused on agriculture, livestock and human health, versus those driven by biodiversity and ecosystem health. This could result in spatial segregation of landscapes. There would, however, be increased efforts to separate biodiversity conservation areas with tsetse from areas where people live. In some areas tsetse would be eliminated and in others ecosystem improvements occur without disease risk. First, a collapse in tobacco prices due to a major public health initiative in China. China is a major tobacco importer whose demand is sustaining prices and the demand for fuel wood and land. This would lead to habitat fragmentation and tsetse population decline. Less tobacco would mean less impact on ecosystems and biodiversity. The second shock would see, significant numbers of HAT death and sickness in Harare, including death of public figures, foreigners, tourists and diplomats, followed by major media storms and a dramatic drop in tourist arrivals. The policy and funding, political momentum, media, lobbying, and exposure to disease that would follow makes this shock significant. It would bring together inter-ministerial groups with political momentum, the deployment of significant international funds and an emergency response for control at source. Policy and funding would dramatically affect investments and control of tsetse and trypanosomiasis. The team in Zimbabwe identified four major drivers: intensified agriculture, land-use change, biodiversity loss and deforestation. They also added a wildlife dimension into the model. Move the cursor over each driver, and see how these interact. To compare with another country go to the interacting drivers page. Prof Vupenyu Dzingirai, University of Zimbabwe (country lead); Prof Amon Murwira, University of Zimbabwe; Prof Ian Scoones, IDS; William Shereni, Tsetse Control Division, Ministry of Agriculture, Zimbabwe. This project has been developed by the Stockholm Resilience Centre, as a component of its work for the Dynamic Drivers of Disease in Africa Consortium.